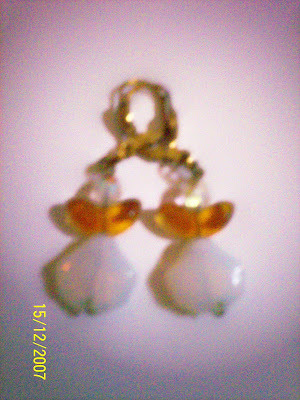 These earrings are just fun, with a clear crystal head (with aurora borealis shine), topaz gold wings (with aurora borealis shine) and white clamshell bodies (with aurora borealis shine). 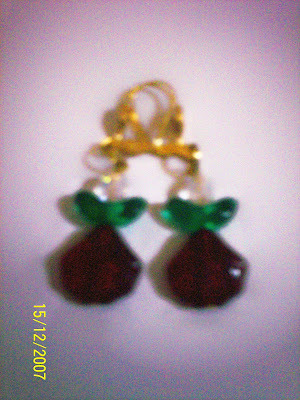 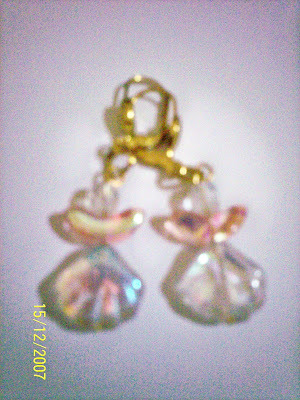 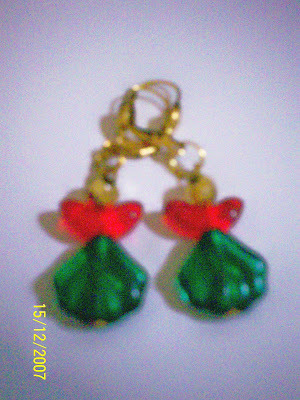 These earrings are based on the colors of Christmas. 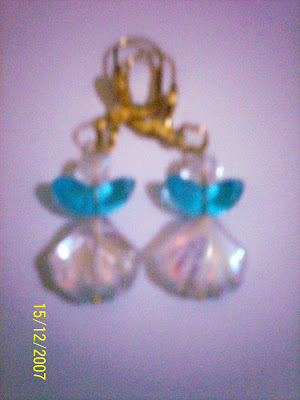 One set features a clear crystal head (with aurora borealis shine), green wings and crimson clamshell bodies (Christmas Angels 1) the other set features a gold crystal head (with aurora borealis shine), crimson wings and green clamshell bodies (Christmas Angels 2). 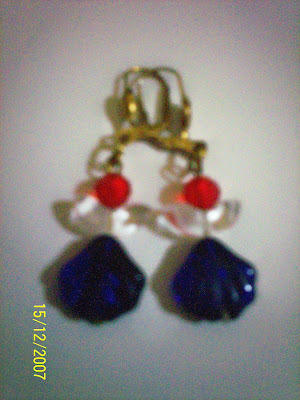 These earrings are based on the United States flag, with a crimson head, clear wings and cobalt blue clamshell bodies. 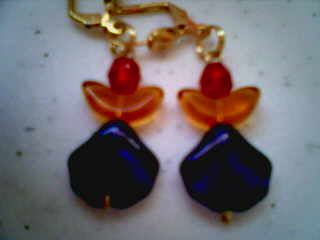 These earrings are based on the Arizona state flag, with a crimson head, golden wings and cobalt blue clamshell bodies.